The Haiku Designs Regal Sleeper Sofa, deluxe comfort with a regal style. This beautiful, comfortable, and uber modern sofa is not only a luxurious piece of living room furniture created to become a centerpiece and great addition to your apartment or home. 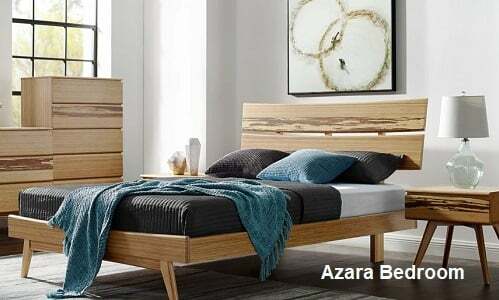 It is also a wonder of amazing furniture engineering featuring Eco-friendly components, durable long lasting construction, and the latest European style drop-down-into a bed component. What does all that actually mean? It means that the Regal sofa from Haiku Designs is not just a comfortable and attractive, modern sofa..… It is also a bed, quickly and easily converting into a bed and place of rest making your living room or office, into a bedroom when your friend really should not be driving home at night. Comfortable, high quality versatilities all wrapped up in a an attractive package… Is that Cool or what. 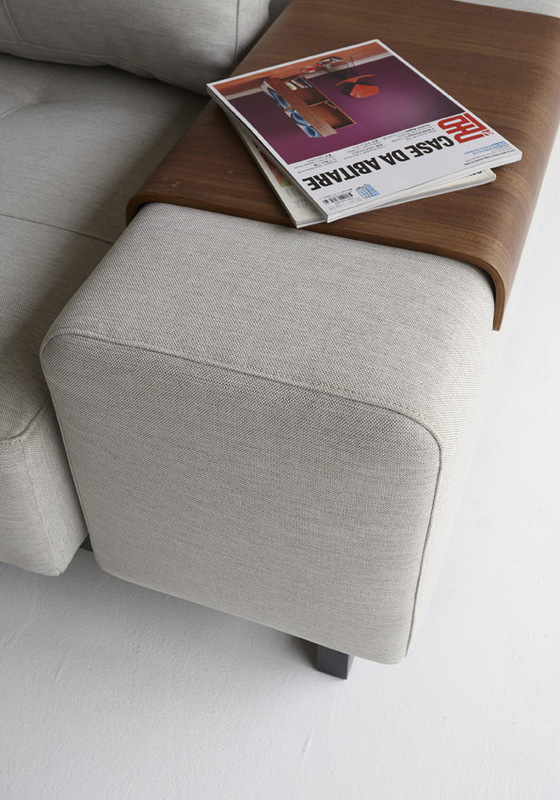 To begin, The Regal Sleeper couch works as a great looking sofa, or couch. Stylish lines, and sparse contemporary structure stay true to the themes of less-is-more found in much of the Japanese and modern urban interior design that influences many of our offerings here. Secondly the Regal Sofa bed quickly adjusts to an easy-to-set up bed for those times when someone drops by unexpectedly to spend the night, or when relatives come by for the weekend visit. Constructed in a way to offer many years of trouble free service the Regal sleeper sofa begins with a solid steel frame upon which is set a series of interlocking nested micro coil springs. Although more expensive to construct this system insures a comfortable and long lasting cushion to the sofa. A non-off gassing foam layer adds to the comfortable and firm feel of the bed and is topped by a blended linen exterior cover. A tight weave naturally repels stains without the need of a chemical stain protector. The rest is considered firm with a slight and comfortable give. 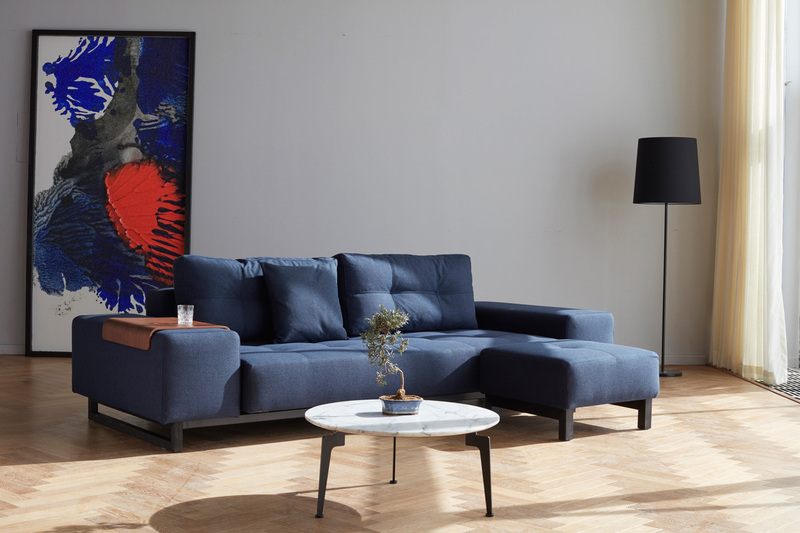 The Regal Sofa is one of the cleanest, sofas on the market today. 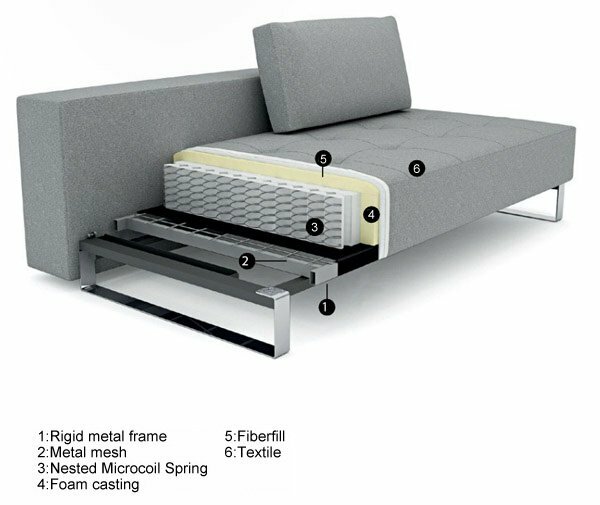 Manufactured to meet the strict European E-1 off-gas emission standards for zero off gassing of any toxic fumes, the Regal sleeper sofa, also passes and exceeds the new California TB-117-2013 furniture manufacturing statutes, meaning no chemical flame retardant or toxins are used on the product. In addition, because it uses an inner coil system similar to a mattress, for support, the foam cushioning represents only 15% of the sofa, instead of 95% usually found in similar products of less quality. The foam used is an Eco-foam meaning no toxic off gassing of any fumes; another reason the Regal Sofa is one of the cleanest sofa/sofa beds on the market. Just right fo ar place where you may want to spend lots of your time sitting or sleeping. 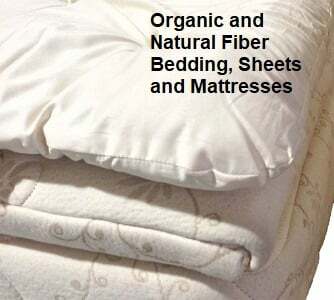 Naturally Stain Resistant, no toxic chemical stain repellants. Meets and exceeds E-1 emission standards from the European Union and the California TB-117-2013 regulations. 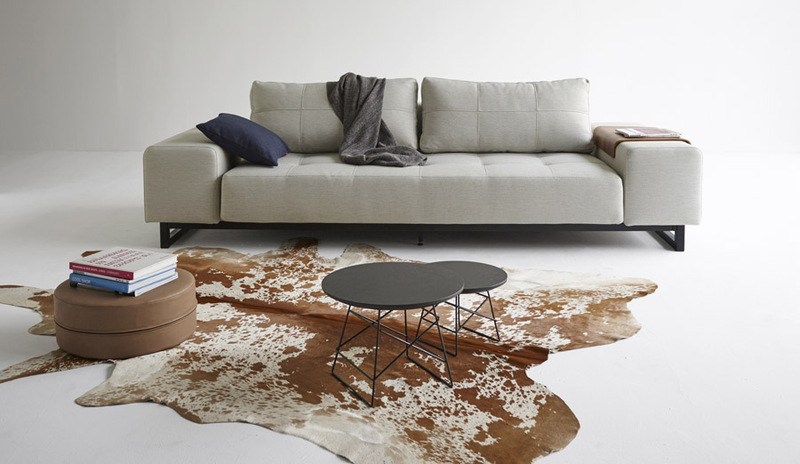 These two standards are the highest available for furniture manufacturing.